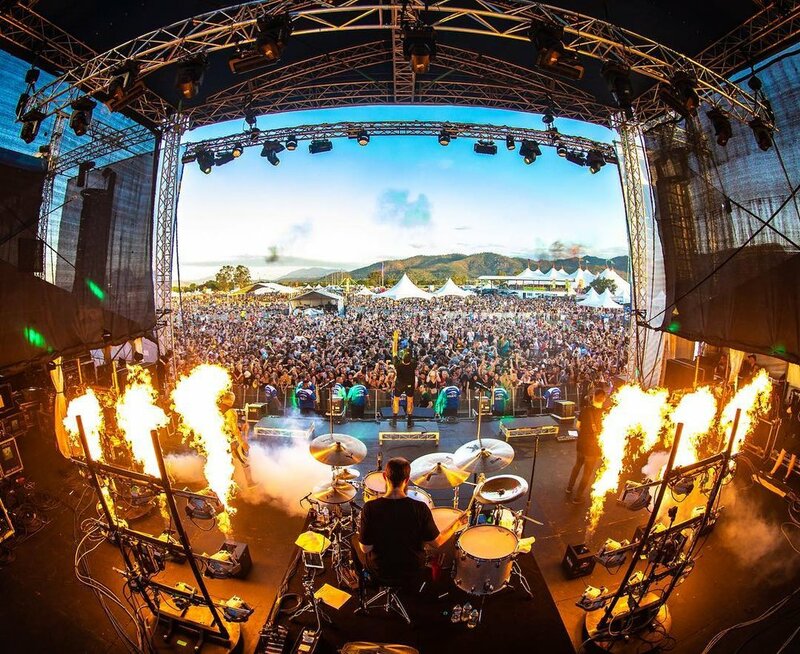 We were engaged by The Amity Affliction, Grinspoon, Duke Dumont and Ball Park Music to manage and provide turnkey production and provision of a range of special effects for Groovin The Moo Festival 2018 - A three weekend national music festival across Wayville, Maitland, Townsville, Bendigo, Canberra & Bunbury. 2 Blaso crew / 3 Stages / 4 Artists / 6 shows nationally. NEWCASTLE LIVE: "Things are better with flames! 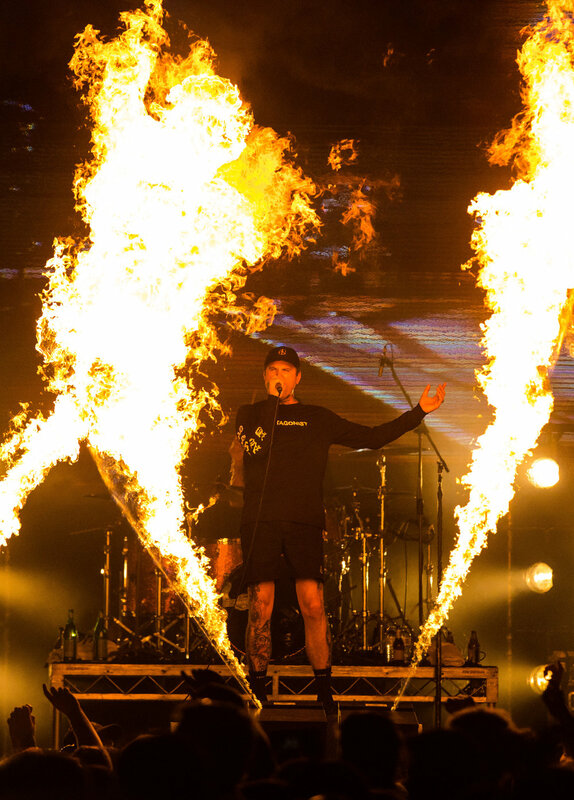 There’s no doubt The Amity Affliction played a solid set... Their amazing stage show, completed with surging flames KISS would have been jealous of"
HHHHAPPY: "The Amity Affliction brought the heat. Literally, they had fire on stage. WALLOFSOUND: "The only thing we love more than Amity is The Amity Affliction…but with fire. The only way they could turn it up any more is by getting a new hat. And added bonus to their fire set is that the cool Bendigo weather was starting to creep it at this point. So cheers to the boys for keeping the crowds toasty"
Our flame effects bring shows to life and really can draw the audience deeper into the performance. They will not only see and hear the performance, but also feel the radiated heat of the flame effects bringing them even closer to what's happening on stage.